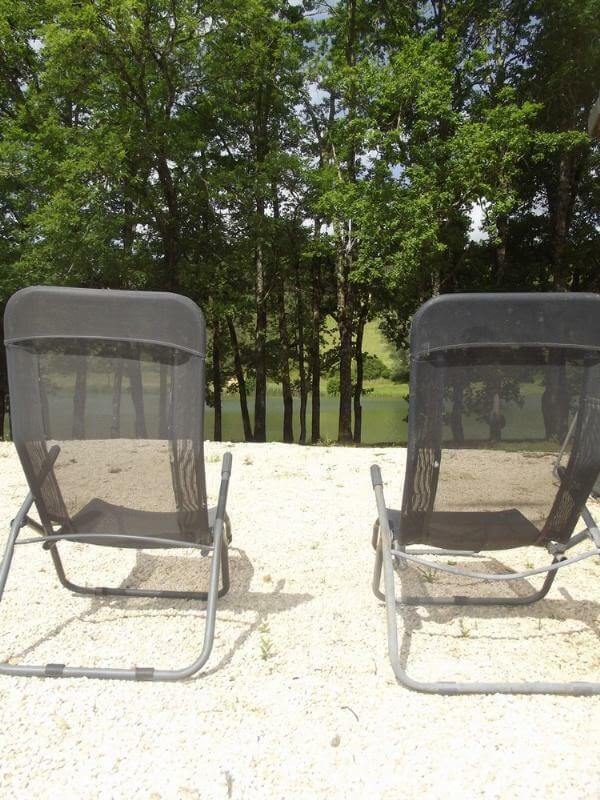 Located just 40 minutes from Périgueux, in the heart of the Dordogne Valley and at the edge of the famous rivers of the department of 24, the campsite Domaine du Lac offers comfortable chalets. 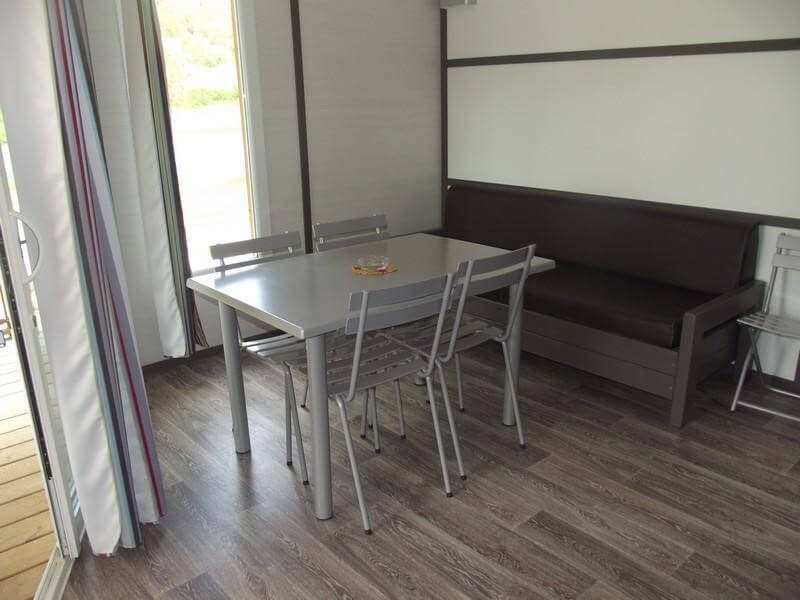 If you plan to rent a cottage for your future holidays in the middle of the forests of Périgord Noir, the campsite presents its accommodation fully equipped and perfectly adapted to accommodate groups or families of 5 or 6 people. 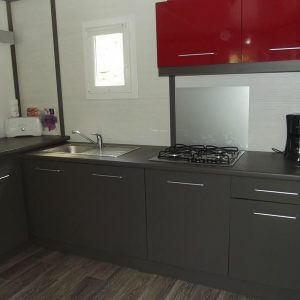 Aesthetic and functional, the chalets in Dordogne have an area of ​​35m2. 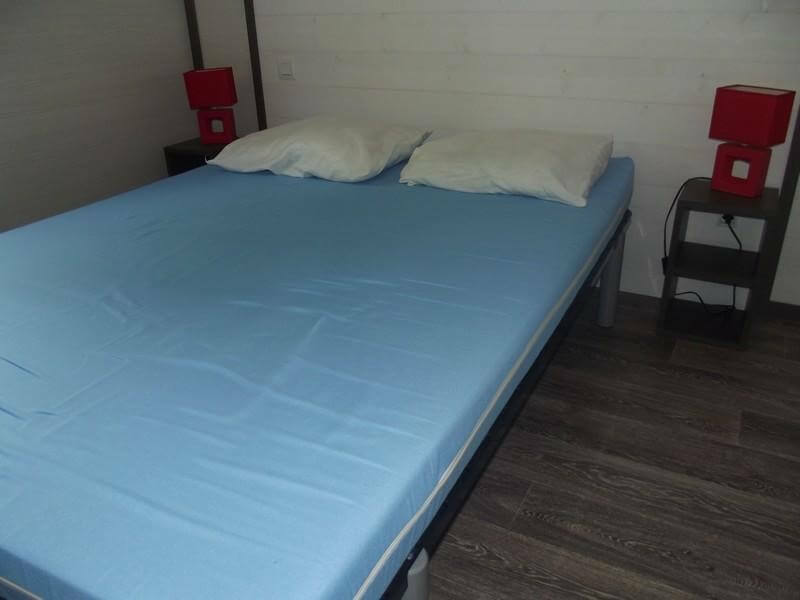 We have 2 types of upscale chalets: First, chalets with 1 bedroom with bed 140, 1 room with two beds 90, and possibility of adding an additional bed type sofa in the living room. 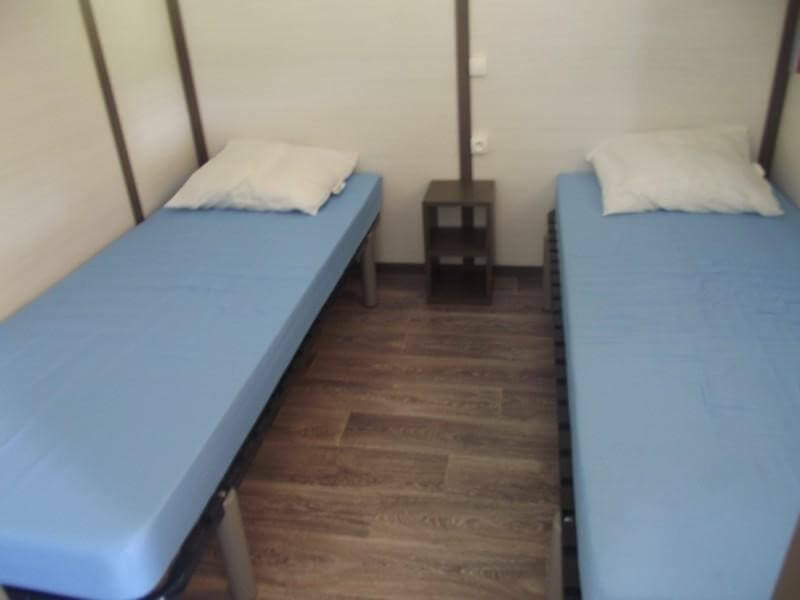 Finally, chalets with a room with a bed 140 and a second room with 3 beds of 90 including 1 bunk bed. 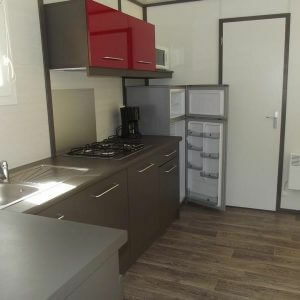 As you can see, our chalets rentals bring together all the advantages to satisfy your desires. 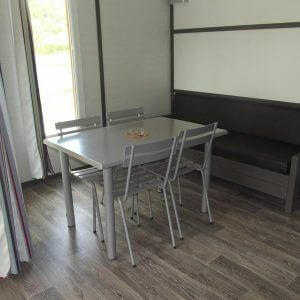 They also have a terrace to let you enjoy your meal together and beautiful summer evenings. 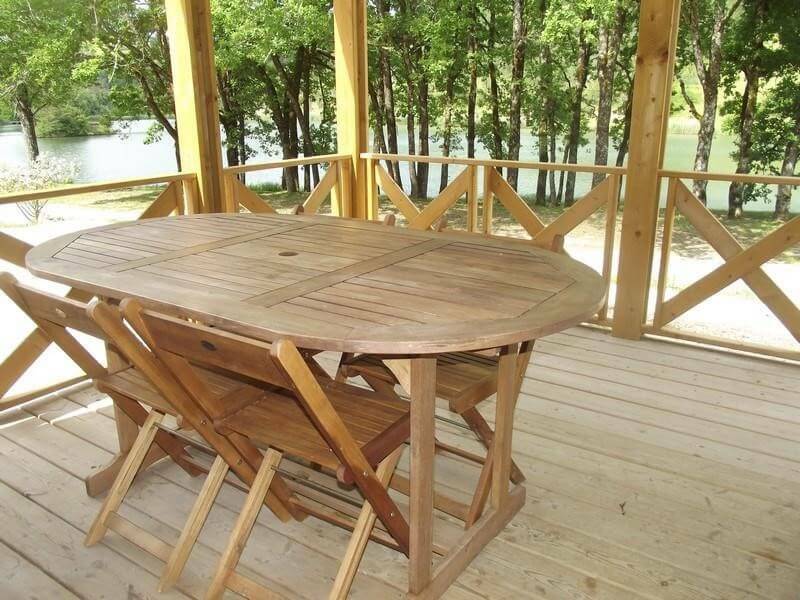 Have you always dreamed of staying in a chalet in the heart of the Dordogne? 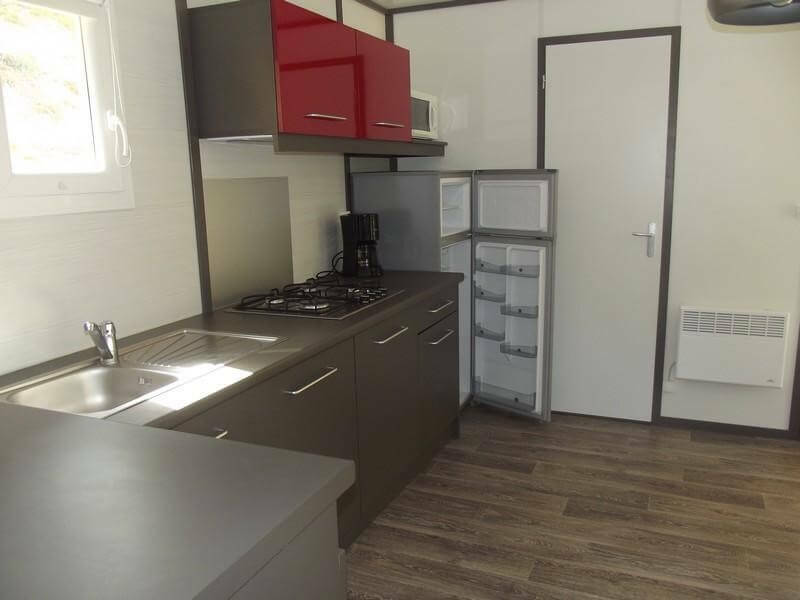 Our rental cottages can accommodate up to 5 to 6 people for a total area of 35 m2. 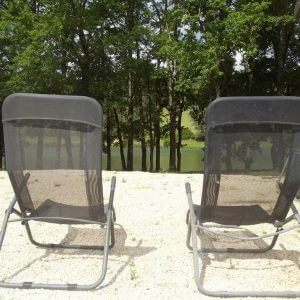 You will find all the comfort of luxury accommodation, with the typical charm of the area here in the Périgord Noir. The chalets are set in lush greenery, in the heart of a forest that will change you for sure! 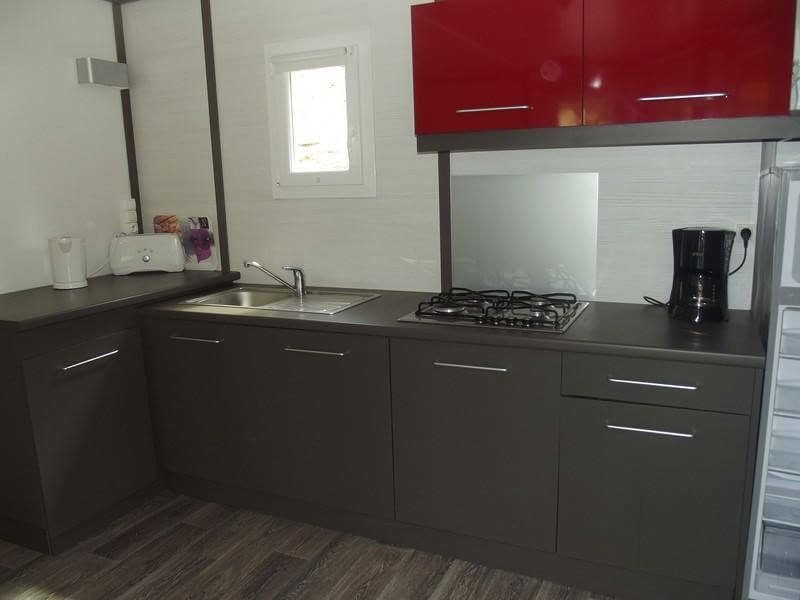 You will be seduced by the indoor and outdoor space, you will enjoy the terraces of the cottages in the Dordogne, you will admire the surrounding nature and take the time to rest on your deckchair in the sun, or in a small shade. 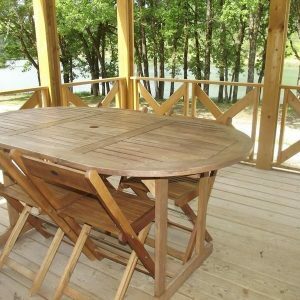 The chalet rental in the heart of the Dordogne countryside will be for you the best alternative for your stay near Sarlat-la-Canéda and the most beautiful sights of the Dordogne.